Henry and his family have lived in Fairfield for almost thirty years. A graduate of Yale, Henry spent nearly thirty years with the investment banking and human resources functions at J.P. Morgan, which he left in 2001 to help start up an investment banking activity at Marsh, Inc. until 2005 when he joined a New York institutional money management firm as Director of Administration. He joined the Higgins Group as senior vice president in the fall of 2009. In addition to the Higgins Group, Henry is Managing Director of Camille M. Bertram Educational Consultants, one of the area's leading firms advising students and their families on private day and secondary school options, college, and special needs placements. He is one of four founding members of the Greenfield Hill Realty Group which specializes in advising buyers and sellers in this desirable area of Fairfield. Henry has also worked with buyers and sellers in Southport, Westport and Weston, in addition to Fairfield. Henry has held several leadership positions in local not for profit activities. 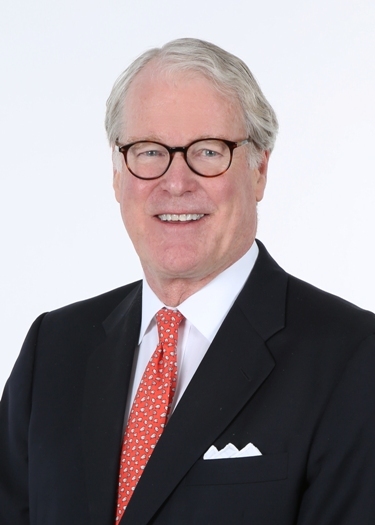 He is a past Board member of Fairfield Country Day School; past president of the Country Club of Fairfield; past Board member of the Stewart B. McKinney Foundation; and past senior warden at Trinity Episcopal Church. In 2010 he completed a two year term as president of the Yale Club of New York City. Cammie and Henry raised four children in Fairfield, and their son Gregory is an acupuncturist at Arogya, a Chinese holistic healing center based in Westport. Their three grown daughters live in Boulder, Colorado.